Make Dad laugh with this cheeky card! 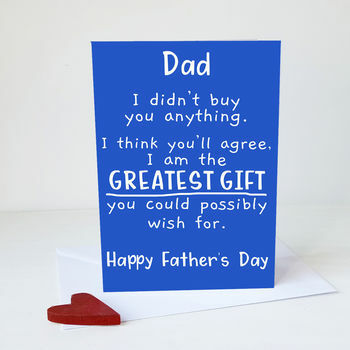 Remind Dad that YOU are the greatest gift...what more could he possibly want? !